This is Part Two of a two-part blog series. Read Part One, which explores the pre-registration and pre-launch phases of firm ownership, here. If your firm registration is now complete, congratulations! We know how much time and effort it’s taken you to get to this point in your business, and you’re now ready to get started on the launch process. If you’re still waiting for that key piece of good news, keep holding tight and read on for an overview of the next two phases in the process: Business Launch and Business Growth. 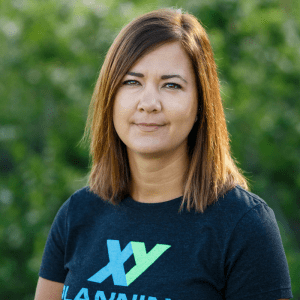 The business launch phase is all about implementing your launch strategy, signing your first clients, and implementing your planning process, all of which XYPN’s Advisor Success Team walks XYPN members through in their first year of firm ownership. In Part One of this blog series, we talked about creating a launch marketing plan—now that your firm is registered, it’s time to execute that plan! Look back on the target client profile you created and use this to remind yourself what’s driving your ideal client and why they might want to work with you. These are the clients who understand your value and who are excited to work with you, so use this knowledge to infuse some confidence into your marketing game at this stage. Two major considerations here are the what (content) and the where (platform) of your marketing. Again, you’ll want to align this strategy to your target market, so think about where and how your ideal client is spending their time. Maybe this is a group who are outgoing, social, and who seek education, in which case a lunch-and-learn would appeal. Or maybe they’re avid readers and would appreciate a lengthy blog post on a topic that addresses one of their pain points. Research conversations are a great way to find out exactly what’s inside your prospects’ heads and to compile valuable data you can use to drive decision-making in your business. You may have already conducted a few of these research conversations in your last marketing phase, and you can continue to use this tactic as needed when you have a specific question or concern. If you haven’t already, you’ll also want to start compiling your marketing list. Think first about family, friends, coworkers, networking acquaintances, friends of friends, and members of clubs and organizations you belong to. This is a great way to get some contacts in your CRM and help get your “top of the funnel” (TOFU) marketing strategy in place. Once you have some prospects locked in at the “awareness” stage at the top of your funnel, you can begin to analyze your initial funnel’s performance as prospects become increasingly interested in your services. This step is all about converting those marketing leads into your first paying clients. At this stage, we walk XYPN members through sales best practices that deliver results and help them establish their sales process. A big hurdle for many fee-only advisors here is that the word “sales” can be a turn-off. After all, you’re not pushing commission-based services in order to keep your business afloat. But don’t let this dissuade you from using proven sales techniques to win clients and grow your business. Here are a few tips you can use to change your thinking about selling your services if you find yourself getting stuck here. Think in terms of education. This is an opportunity to teach prospects about what you do, how you can help them, and about the benefits of financial planning. Listen more than you talk. Taking the time to truly listen to your prospects will not only give you valuable information about what’s important to potential clients but will also help build a solid foundation of trust. Consider sales as an ongoing process. Signing a client is just the first step; you’ll need to use sales techniques throughout the client relationship to facilitate buy-in on the financial plan you’re creating for clients, and to effectively maintain ongoing client relationships. Avoid thinking about sales techniques as something you’ll use simply to win clients and then put on the shelf. This is also the time to create meeting scripts for different steps in your sales funnel. Rehearse those scripts until you feel comfortable using them organically. This key part of your sales process will help you create a plan for handling clients’ common objections or stumbling blocks and will help you gain critical information about your prospects. If you don’t have a sales background, this book by Beverly D. Flaxington can help get you started: The Pocket Guide to Sales for Financial Advisors. Now let’s talk about the plan itself. Here, you’ll spend some time creating an effective balance between plan customization and scalability. You want to develop a consistent, repeatable process for developing client plans while ensuring the recommendations you deliver are unique to each clients’ needs. As Michael Kitces points out in his article A Standardized Financial Planning Process Allows For A More Customized Client Experience, a good way to think about this balance is that the “inputs” (your standardized plan development process) should result in individualized “outputs” (customized financial plans). These two features of the planning process are not at odds; rather they are two sides of the same coin. During the business launch phase, XYPN’s Advisor Success Team helps members create a strategy for communicating their planning process to clients in way that makes sense and clearly communicates expectations. This step also involves pacing meetings so that plan delivery is neither an overwhelming deluge of information nor an overly strung-out experience for the client. Once you’ve honed your development and delivery process, you’re ready to focus on plan implementation. 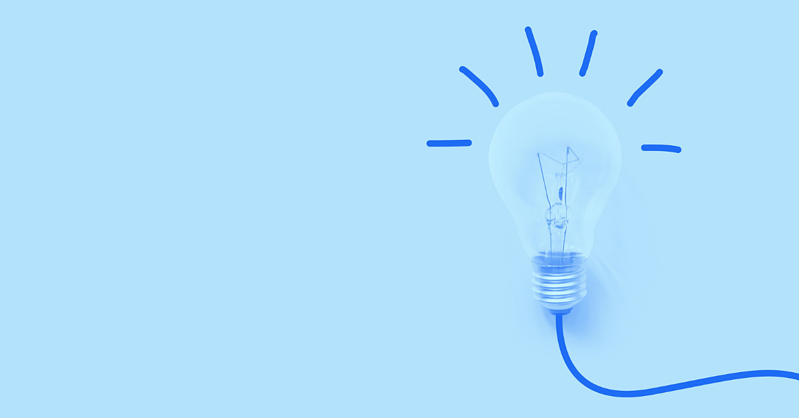 Your clients should understand your timeline and know what to expect from the process, so be sure to remind them along the way of the implementation steps you’re taking and why. Think about potential barriers for clients getting on board with your plan recommendations and be proactive with strategies for helping clients overcome these barriers. 1) Do any of the plan recommendations seem overwhelming? This provides an opportunity to communicate with your client about any potential roadblocks they might experience. Be sure to let your clients know you are open to any questions they have, and make sure they understand all the elements of the plan. Also communicate with your client about your follow-up process and check in at regular intervals to see how things are going. The key word at this stage is process. You know financial planning is an ongoing process, so be sure to express to your clients that you understand their lives and financial circumstances may change with time and that you are prepared to help them adapt and weather these changes. Every phase of XYPN’s 12-month plan for new firm owners emphasizes essential considerations for running your business, so you can ensure your overall processes are running smoothly and you’re not getting tripped up in any of the necessary administrative or compliance tasks. This is a great time to revisit your file structure and storage. Is it efficient? Is it scalable? Could you easily train someone else to use your system? At this time, we recommend that you review the 10 core KPIs you’ve started tracking. Make sure they still seem relevant for you and you’re spending time focusing on the most critical data. We define this particular business growth phase as growth from around 10 clients to about 50. You’ve built a foundation and gotten your firm off the ground, now it’s time to focus on building and scaling. Now that you’ve had a chance to test your initial marketing strategy, at this stage you can be more strategic based on the information you've gathered in the launch phase. Think about the desired outcomes of your marketing efforts, i.e. the end behavior. This could be a phone call from a prospect, a new addition to your newsletter list, or attendance at an event you are hosting. Then align your marketing efforts around these desired outcomes. Take time to brainstorm potential marketing ideas and be creative; catalog your ideas and keep them visible. This is also a good time to review core messaging themes and ask whether they are resonating with your target client. Take some time at this stage to be sure your core themes are consistent across your marketing. Now that you have some prospects in your pipeline and some data to draw from, you’ll want to analyze your overall sales funnel as well as your closing ratio and take steps to improve that number if you’re not hitting your goals. One way to improve your sales process at this stage is to review your prospect screening rubric and make any necessary improvements. This is also a great to time revisit (or if you don’t have them, create) repeatable processes and workflows. This will save time, improve efficiency, and help you build a scalable business overall. At this time, we recommend you revisit how you’re handling investment management. If you are handing this in-house through a custodian, you may want to consider switching to a turnkey asset management platform (TAMP). An increasing number of advisors are going this route, and it’s a good idea to at least consider your various options here. Designed specifically to meet the needs of XYPN members, XY Investment Solutions is a good way to outsource if you’re looking to go that route. This is also an ideal time to review the pricing structure you’ve chosen and adjust as needed. Ask yourself whether the fees you are charging align with the time you’re spending and whether your overall structure aligns with the services you provide. Now that you have some clients on board, assess whether your services are affordable for your target market and whether your clients see the value in the services you’re providing. As part of this process, you should also review your firm financials and the KPIs you are tracking. Our team helps members ensure they have a clear view of their financial status and projections. We also help members create a plan for staying on top of their financials as their business grows. Additionally, we regularly check-in on the financial health of their firm. When first launching your firm, you probably spent a lot of mental energy on compliance and regulatory issues. Once you’re registered, the pressure is off (a little), but there will still be weekly, monthly, and annual compliance tasks you need to complete. Here, we recommend focusing on 1) procedure documentation and 2) creating a compliance task calendar with requirements so nothing falls through the cracks. Now that your business is growing, you’re likely realizing a few things: 1) There are certain ongoing tasks you’d prefer not to handle yourself, 2) You simply don’t have time to handle everything involved in running a business, and 3) You can actually afford to outsource certain functions! Part of our role is to help members examine options for hiring additional staff in-house or outsourcing certain tasks to freelancers or professional organizations. No matter the stage in your firm ownership journey, XYPN’s Advisor Success Team is here to help you succeed in all areas of your business. The first year can be a rollercoaster ride, but with a little guidance, the ride becomes a little smoother, and, dare we say, even a little bit fun.